Great love stories often begin when people that share the same passion for the extraordinary meet up and realize they are not the only ones out there. 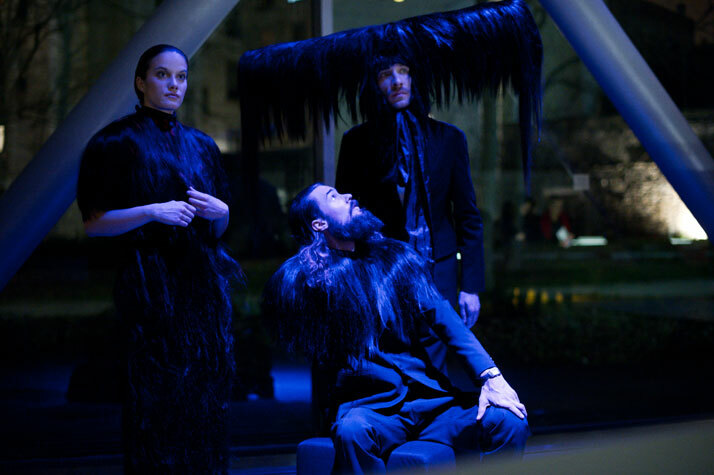 This is the case of Charlie le Mindu, the French born haute coiffure genius that has managed at the age of 24 to be considered the hottest hairdresser in London, and ATOPOS cvc of Athens that aims to implement innovative projects of contemporary visual culture, giving particular emphasis on the human figure and costume. Their first collaboration for Atopic Bodies [ONE]: Mr & Mrs Myth was such a big success back in 2010 and since then they have started a close collaboration, including works for the Fondation Cartier pour l’art contemporain in Paris in January 2011. 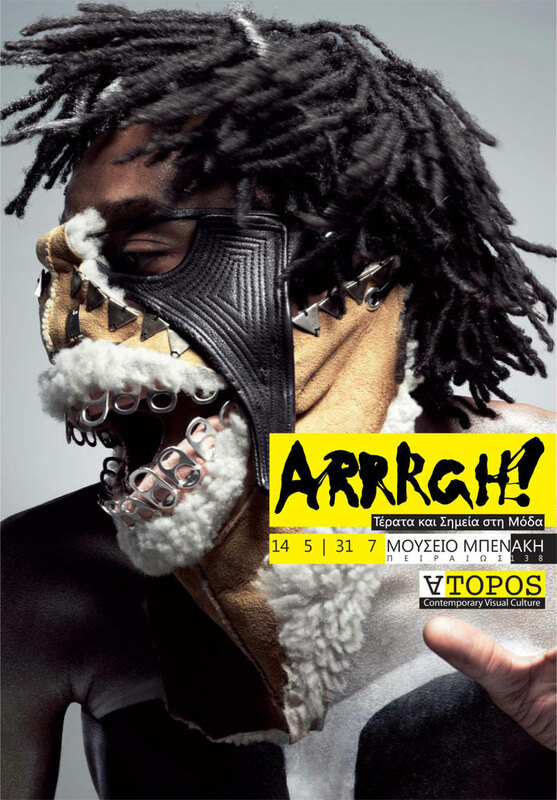 ATOPOS cvc has spent the last three years preparing their forthcoming exhibition called ARRRGH! 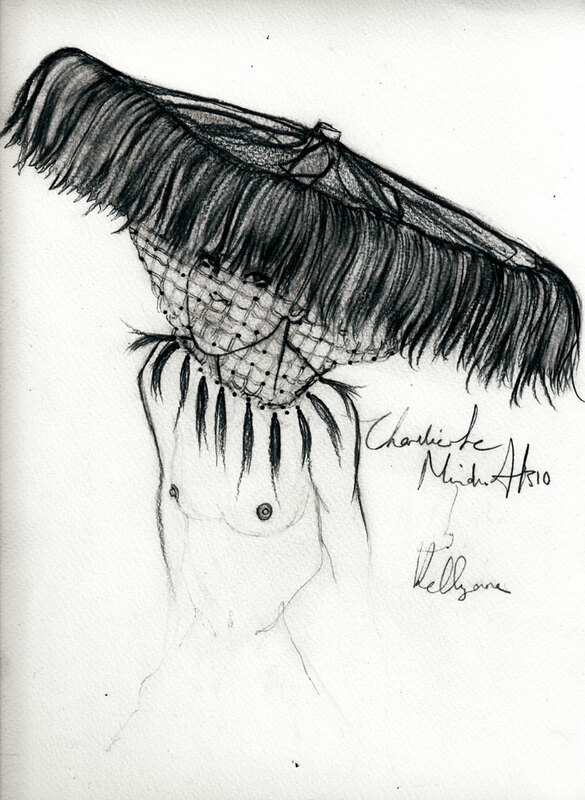 Monsters in Fashion, exploring the phenomenon of character design in fashion, and, of course, couldn’t think of a better artist to prepare a special installation for them than Charlie Le Mindu. The ARRRGH! 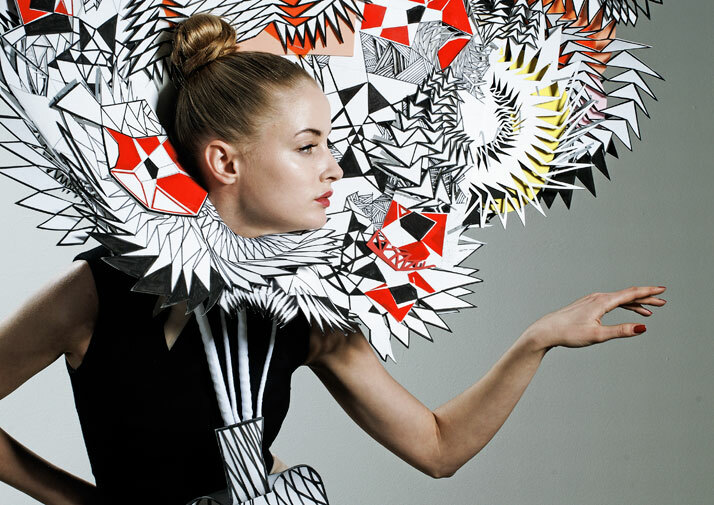 exhibition, curated by Vassilis Zidianakis, will be held at the Benaki Museum of Athens (15 May- 31 July) with the participation of renown designers and artists like Walter Van Beirendonck, Bart Hess, Jean-Charles De Castelbajac, Maison Martin Margiela and Issey Miyake. 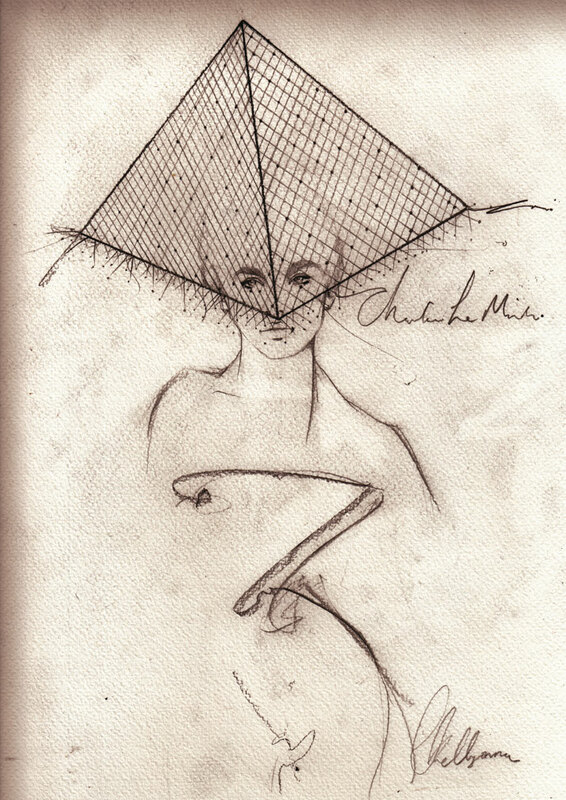 At the same time, ATOPOS cvc, in order to celebrate the event, has organized an exhibition of Charlie’s sketches at the French Institute of Athens called Croquis de Mode (12 May -29 July) that offers a raw access to Charlie’s ideas just at the moment they are born. 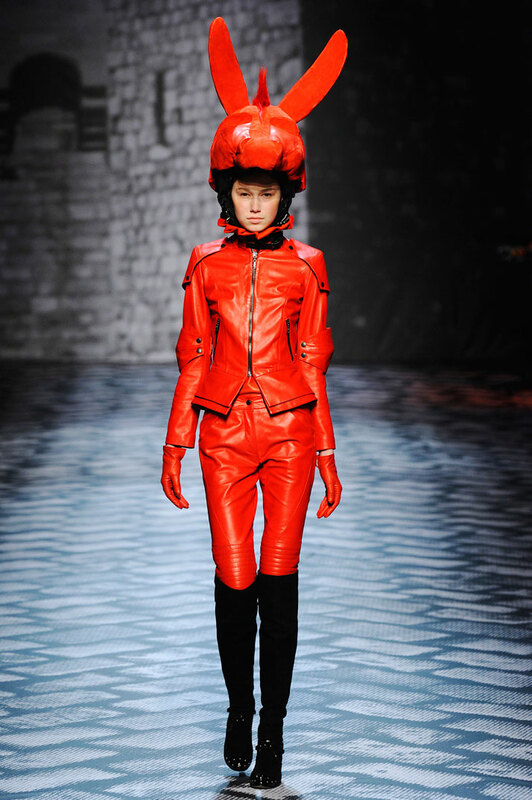 Charlie le Mindu, is constantly flirting with character design and his fashion shows are full of strange creatures with crazy wigs that practically invade the catwalk. His use of real human hair makes his wigs appear more like wearable sculptures and gives an extra theatricality to his shows. After studying at the French Hair Academy, Charlie became a resident hairdresser at various Berlin nightclubs, performing “live cuts”. His talent was so evident that his fame finally brought him to London where he opened a salon in East London with Lady Gaga, Peaches, Carri Mundane, Jodie Harsh and Ayumi Hamasaki among his clientele. 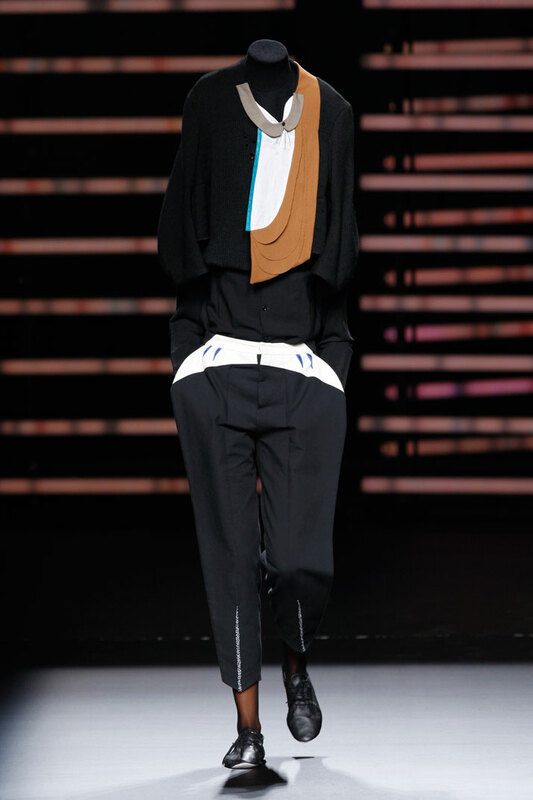 Le Mindu has shown his collections at London Fashion Week, Victoria and Albert Museum, London and Fondation Cartier pour l’art contemporain and was the On|Off Visionary award winner for February 2011. Yatzer found Charlie le Mindu and interrogated him in order to reveal his particular universe. Enjoy! Well, Charlie, looking back at time could you say there is a specific moment that defines your birth as a creative person?I think it was when I was 6; I was coloring the hair of my barbies green, leaving them in the swimming pool for 6 month over the winter and taking them back in the summer and shaving them. They used to look like mod girls with green hair! Hair is something vivid, in a way it’s a prolongation of our bodies. Even cut off, it seems to be alive. How does this fact affect your creations? I mean for me hair is the most important thing ever, it is the first material I ever knew to work with, it’s the material I know the best. That’s why I also work with Hairdreams hair extensions because I need to work with the best quality of hair. You can do so many thing with hair, shapes , volumes , colors, that’s why I love it ! How is it born exactly each character you create? Do they have a life of their own? When a shooting or a catwalk ends, what happens of them? To start with, when I finish a shooting or a catwalk show everything goes to my agents’ showrooms, Tipy in Paris and Numbernine in London. I try to do new things all the time, I mean I dream so much every night that I need to use all my imagination in order to create and make them come to life. It is really frustrating not to have enough time sometimes to do everything I want!!! Although an image has a great power on its own, I am very interested in what is hidden behind it, in the making process of each project. Could you give us some details about the way you work? For starters, I am a hairdresser, so I constantly think about HAIR !!! HAIRDREAM ! HAIR EXTENTIONS ! That’s where everything begins from! The way I work stands between a couturier and a coiffeur, that’s why what I do I call it Haute Coiffure. I draw, I do patterns, I cut hair, I color it ! I SHAVE IT! I do it all! In my opinion, with your work you question regular beauty standard, offering a different, at time surreal, version of the reality that surrounds us. Under this perspective, transformation is a key factor to your work. Do you think there is a lack of fantasy in our every day life? What are the difficulties in our attempt to overcome regular beauty standards and be more of ourselves, more daring and open to experimentations? I think the only problem right now concerning beauty is the fact that some celebrities can make people think what is fashion or not, lots of singers look like drag queens or lady boys , there is no problem in this because I think it’s great ! But it’s only fun! It’s not beauty, it’s fun but what is great is that they show that fashion is as well about fun. We are in a time that music influences lots of kids and people of fashion. But there are also the people that continue working like they used to work and will never change and I do think that this is great as well, it depends on how its done , for example old French ladies!! They will always stay chic and I do think there lays a great think for fashion to look at and get inspired as well. It is hard to create new things now, that’s why when someone does something really new everyone focuses on that person. I remember the shooting of Ellen von Unwerth many years ago with Naomi Campbell wearing Coca Cola cans in her hair, that was chic and fun! Those were the good times! What are your inspiration references? How do you differentiate between the ordinary and the original? I do look at loads of different things, for sure my friends are a big inspiration but also old hairstyles like Egyptian styles … I love antique stuff. Tell us a few words about your installation for the ARRRGH! exhibition. What should we expect? It s going to be very AAARRRRGGGHHH! If you want to know more you have to come! I wouldn’t reveal any of my work before it is shown, it’s like collections! But since it is in collaboration with ATOPOS cvc, it is going to be a challenge. I think Vassilis Zidianakis is such an amazing person and has so many great ideas! And there will be fun!!! What are your future plans? What is left for you to explore? For the moment my most important plan is my wedding that will be held on the 26th of June !!! ATOPOS Contemporary Visual Culture (ATOPOS CVC) presents ARRRGH! 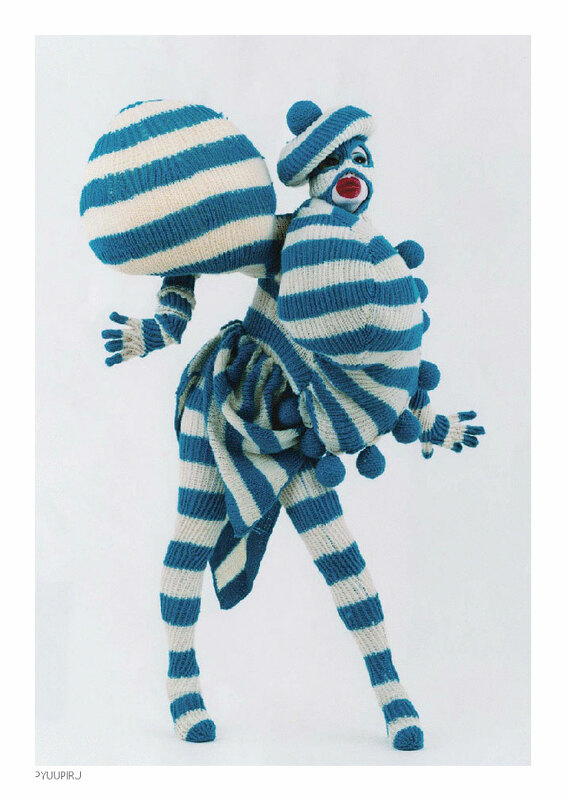 Monsters in Fashion at the Benaki Museum, Athens - the first exhibition about Character design in fashion, curated by Vassilis Zidianakis. The exhibition is participating in the Athens Festival 2011. The exhibition ARRRGH! 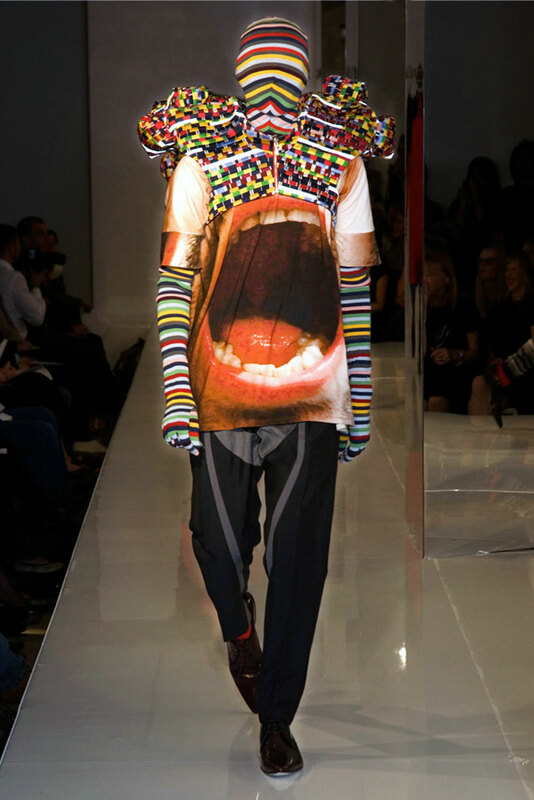 Monsters in Fashion has been realised with the contribution of the following fashion designers and artists, Maison Martin Margiela, Walter Van Beirendonck, Bart Hess, Jean-Charles De Castelbajac, Mareunrol’s, Bas Kosters, Issey Miyake and Dai Fujiwara, Henrik Vibskov, Dr NOKI’s NHS, Charlie Le Mindu, Hideki Seo, Alexis Themistocleous, Boris Hoppek, Craig Green, Bernhard Willhelm, Marcus Tomlinson, Bronwen Marshall, Rejina Pyo, Cassette Playa and Gary Card, Andrea Ayala Closa, George Tourlas, Digitaria, Freeka Tet, Piers Atkinson and Pyuupiru amongst others. With official loans from the following museums and institutions, ATOPOS CVC (Athens), The Μiyake Issey Foundation (Tokyo), Museum Boijmans Van Beuningen (Rotterdam), Benaki Museum (Athens), Museum of the History of the Greek Costume (Lyceum Club of Greek Women, Athens), MoMu, ModeMuseum Province of Antwerp and the Peloponnesian Folklore Foundation ‘V. Papantoniou’ (Nafplion). Together with the exhibition, ATOPOS CVC presents the fully illustrated publication NOT A TOY: Fashioning Radical Characters, edited by Vassilis Zidianakis, ATOPOS CVC, published by Pictoplasma Publishing, Berlin, 2011. 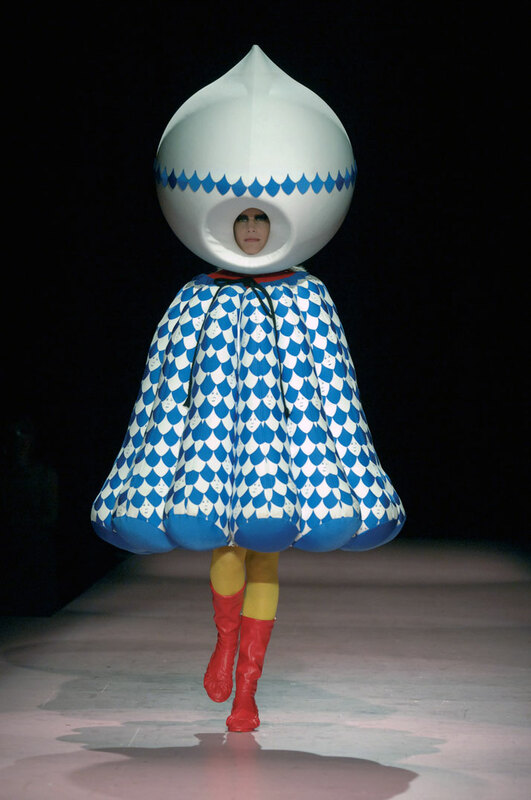 This extensive, colorful compilation about the growing influence of Character design in fashion and art highlights an international scene of established and upcoming designers and artists, some of them represented in the exhibition. It features original essays by leading scholars in the field: Ginger Gregg Duggan & Judith Hoos Fox founders of theinternational curatorial partnership C2, Jose Teunissen, professor at the ArtEZ Institute of the Arts, Arnhem, Francesca Granata curator and editor of Fashion Projects: A Journal on Art, Fashion and Visual Culture, Valerie Steele, chief curator of the Museum at the Fashion Institute of Technology, New York and Ted Polhemus anthropologist, curator and writer of the renowned book Streetstyle: From Sidewalk to Catwalk.